Many euro-style and hobby boardgames allow the player to build an engine. 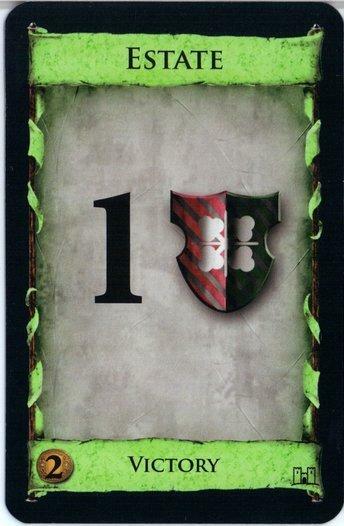 This means they often collect cards or components that give them special abilities and/or more resources. In particular, to be an engine builder, the "engine pieces" have to give players resources or abilities that will eventually help them win. I'll be using Settlers of Catan and Monopoly as examples for this post because they are both well known engine building games (although not necessary well designed ones). In Monopoly the player is building an engine that gives her income. Each property and house bought in the game is an engine piece, because it allows her to then take money from her opponents, which will both help her buy more properties and houses, and will also eventually cause her to win. Settlers of Catan is an engine builder because each settlement and city gives her resources as well as victory points. As she gets more resources, she can build more engine pieces, which then give her yet more resources and victory points! Engine building games are fun because they give the player a feeling of progression. Each turn the player feels more powerful than the last, and can execute cooler combos or secure more resource income. At the end of the game, much like in puzzle games, the player can look back and see her progression, how far she has come. Getting better at games feels good! Sometimes this manifests as discovering new strategies or simply getting smarter about how you play. Engine builders seek to somewhat artificially create this feeling of progression through allowing the player to increase their power level over the course of the game. What the heck is a power level? I define "power" in engine-building games as the ability to bring you closer to victory and to improve your engine. It's how much influence you have over the game system. The power level usually comes in the form of increased resource income, and it's always provided by the engine pieces. So in Monopoly power level goes up as you buy and develop more properties. In Catan power level increases as you build settlements and cities. Both of these things bring you closer to winning, while at the same time providing more resources. 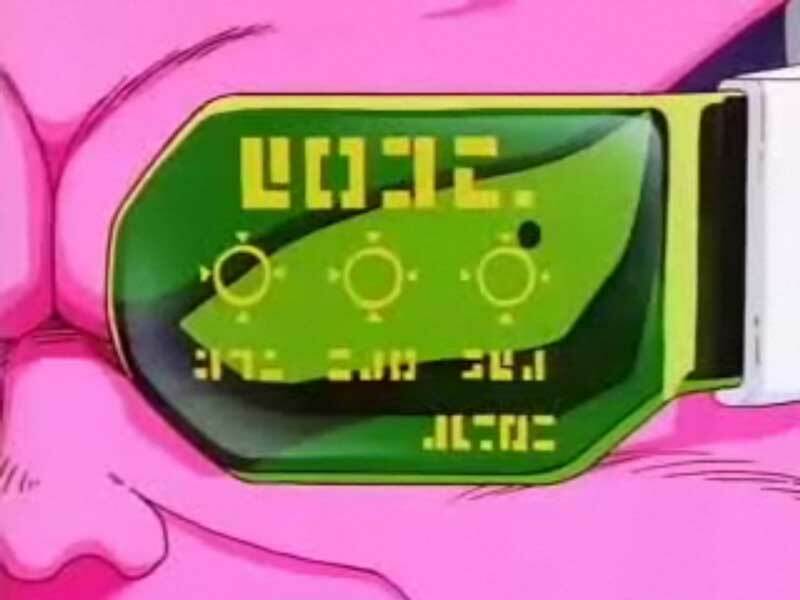 You can't see power level with one of these. In a second I'm going to be graphing power level by turns. Note that the smooth curves I'm showing are abstractions, and in reality power level would jump up on each person's turn. 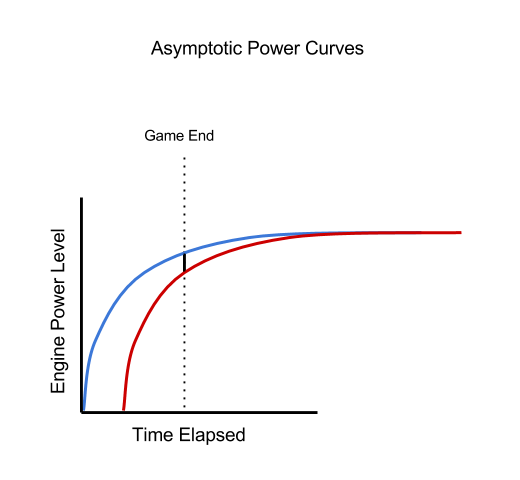 Why does the shape of the power curve matter? From a designer's point of view, when players sit down to compete against one another for victory in a board game, many different player should be the leading player over the course of the game, the winner shouldn't be clear until late in the game, and at the end of the game the scores should be as close as possible. In this case blue is the leading player primarily because she went before red (or perhaps got a lucky draw early). Even though their power curves have the same shape, that slight boost in time that blue got allowed her to pull ahead, ending the game much farther ahead of red than they started. As mentioned above, this will make red (and any other players in the game) feel like crap. The compromise that must be made is players must still be able to make their engines more powerful each turn, but the designers must make sure that the power curve for the engine leaves the players as close together as possible at the end of the game, regardless of luck (ideally with the more skilled player winning most of the time). 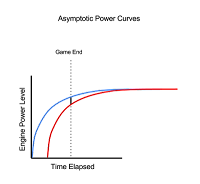 The ideal curve, then, is one that approaches a constant power level, as below. 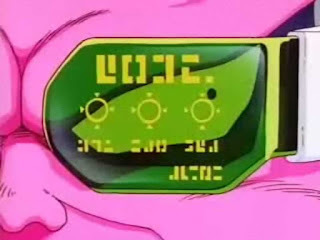 If there is a maximum power level that can be achieved, then all players will approach that power level and be close to one another as the game ends. Not only that, but as players get closer together, they will have ample opportunity to surpass one another. Because they get closer together as the game ends, this generates a sense of increasing tension and uncertainty surrounding who's going to win. Meanwhile, however, players are still progressing every turn! This asymptotic shape is ideal for power curves in engine building games. 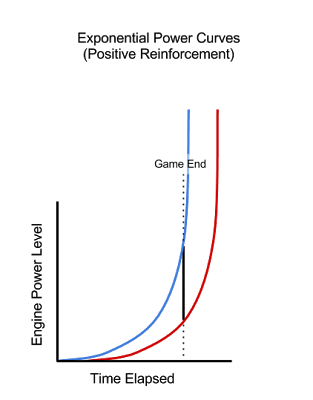 With any game, even if you achieve asymptotic power curves, you still have to ensure that the game actually goes on long enough to get the players into the latter regions of that curve, or else the shape of the curve doesn't matter very much. Of course the big question for designers is: "What methods can we use to shape the power curves this way?" Below are three methods I've identified and ranked that have been utilized in engine building games to achieve asymptotic power curves. These are by no means the only ones, but they can be broadly applied when designing. One of the simplest ways to force a leading player's power curve from linear or exponential to asymptotic is by leveraging the social elements of the game: namely, all players teaming up to keep the leading player from winning. While this can happen in nearly any multiplayer game with player interaction, it seems to arise most easily in games where gameplay relies on players freely trading resources or engine parts, and often takes the form of trade embargoes with the leading player. This type of behavior forces the leading player's power curve to be asymptotic, simply because the more she seems to be winning, the more stringent her opponents will be in giving her favorable (and necessary) trades. If you want to utilize this strategy in your designs, carefully note that free trading is its own mechanic, and should be central to the gameplay (not tacked on as an afterthought). For it to matter, players must have to trade well to win. Do note that players are not always good at telling who is currently leading, which can be frustrating for the targeted player(s). Thus, a game that employs this kind of design makes each player play a very specific kind of social game: do well without looking like she is doing well, which can be desirable or undesirable from a design standpoint. Resource capping is a strategy where, once player reach a certain threshold of (at least one facet of) power, they can go no higher. Using a resourcing capping method, the game system is effectively saying: "you can make your engine as powerful as you want, but it's never going to get you past this cap." Thus, while the leading player is sitting at the resource cap, the other players are given time to catch up--which is exactly the point of asymptotic power curves! Munchkin does a fairly good job here by having a hand limit, but perhaps more importantly by limiting the player's item slots. In the game, you can have items in your 2 hands, one for your head, one for your feet, and one for your body. Even though you can trade out current items for new and better ones, this still means that for a player who is sitting on a full set of gear, each card drawn is a minimal improvement. 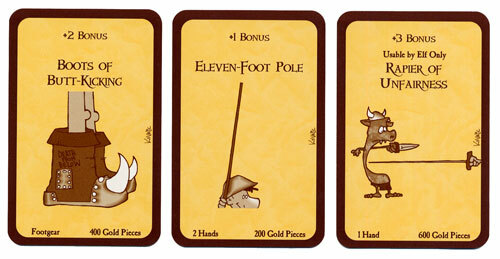 For a player who doesn't have a full set of gear, each card drawn can be a huge step up. Again, this mechanic will definitely form asymptotic power curves. Note the item slot in the bottom left. This design strategy can be applied to many games, and I'd heartily recommend applying it to yours, if it fits. It usually doesn't add too much complexity, while still helping players finish with close power levels. By far my favorite strategy for ensuring asymptotic power levels is to make the player choose, each turn, whether she wants to make her engine more powerful or whether she wants to make progress towards winning. On the one hand making her engine more powerful will allow her to make greater strides towards winning in the future. On the other hand, if she doesn't start turning her engine's power into victory conditions (often victory points) soon enough, she might not have enough time to do so before her opponents end the game. Race for the Galaxy is a fantastic example of this approach. 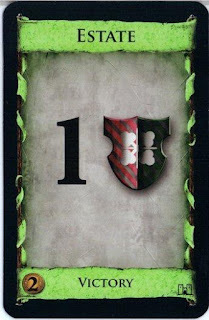 In the game, the primary resource is the number of cards in your hand. These are both the engine pieces you play in order to get victory points and more cards in hand, but also the resource with which you pay to play those engine pieces--to play one card in your hand, you often have to discard a handful of others. Frequently, some of the players' engine pieces (which they have played in front of them) produce goods. There are two ways to consume these goods: players can either "Trade" them, which means to get rid of the good and draw a number of cards, or they can "Sell" them, which means get rid of the good and gain a number of victory points. Trading is vitally important early game, and at specific tactical points in the late game, because you cannot develop your engine without it. However, if players neglect to sell their goods and try to build the biggest baddest engine, they will probably not win (which is the problem I always run into). Dominion takes this design strategy a step further. During her turn, a player can either buy action cards to add to her deck, which will allow her to get more money in future turns to buy more actions, or she can buy a victory point card to add to her deck. This card will help her win when the game is over, but it actually slows down her engine when she draws a victory point card instead of an action. This means that when players choose to start trying to win, they are not just forgoing making their engine more powerful, they are actually actively making it less powerful. Clearly, this allows the other players time to build their engines up and catch up, forming asymptotic power curves. "I want these Victory Point things, right?" This mechanic adds an exquisite tension to the game, which I find extremely appealing in gameplay. That said, while this is a great mechanic to utilize in your euro-style games, it is less amenable to use in more casual games. As I mentioned in my post about designing games for everyone, casual audiences tend to be turned off by the necessity of making difficult strategic choices every turn. This mechanic definitely adds one of these choices. These are only a small taste of mechanics by which power curves are shaped in some already existing games. Many games leverage their specific systems to implement mechanics to shape power curves in ways that wouldn't make sense in other games. If you are designing an engine buidling game, you should think long and hard about how you want to shape your players' power levels, because when done well it improves the players' play experience. Really great article. Thanks for writing and sharing it. One more point to keep in mind is that the power level of the player might represent actual power, or might just be perceived power. For example, in many deck builders you earn card that are much more powerful (2x, 3x, or more) than those you start with. But when considered as 1/5 to 1/7 of your hand every x turns... this kind of gain often feels more powerful than it actually is. Great observation, Gary. Often times the best way to make the players feel like they're gaining power quickly but avoiding rampant growth is not by actually giving them power, but instead tricking them into thinking they have it. In fact, making players feel like they have more control than they actually do is almost always good, except when it makes one player seem to pull ahead of the rest.